Saffron is known as “the king of spices,” and as the world’s most expensive spice. Saffron is made from the dried stigmas of the flower species crocus. Each flower of the crocus sativus has only three pistils, and these must be picked by hand. 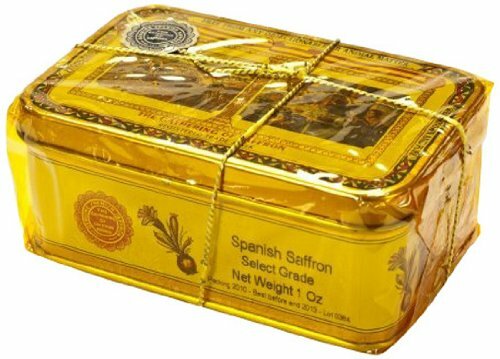 Over 70,000 flowers are required to yield 1 pound of saffron. It has been used since classical times as a flavoring in food and wine. It is an effective stimulant and digestive, increasing the flow of saliva and digestive juices. The very best saffron is grown in Valencia, Spain. Unlike some saffron, ours is made from the full stems and not ground-up pieces that can easily be adulterated. The price of saffron is dependent on its coloring power (graded categories i to iv with i being the strongest). The select is category 1 and the sierra is category ii.